Morning Roundup: Tomas Nears Haiti, Merapi Erupts Again, Plane Down In Cuba : The Two-Way More than a million people are still living in tents and under tarps in Haiti as Hurricane Tomas nears. 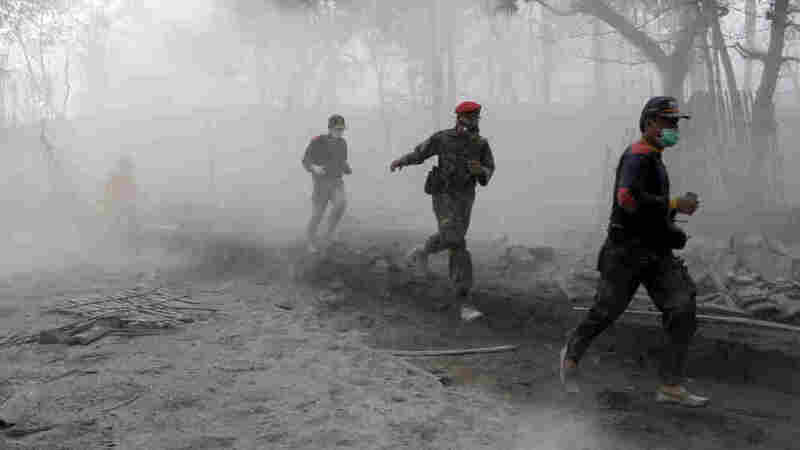 Merapi death toll tops 100 as searing gas hits a village thought to be in the safe zone. No survivors on Aero Carribean flight 883. It has been raining all night in Port Au Prince reports NPR's Jason Beaubien, who is there. The ground is soaked. The government, says Beaubien, is urging people living in camps to go find a place with friends or family, anywhere they can be in a solid structure before the winds come. Jason says most of the people he's talked to simply have nowhere to go. More than a million people are still living in ramshackle camps and will ride out the hurricane with little more than tarps over their heads. 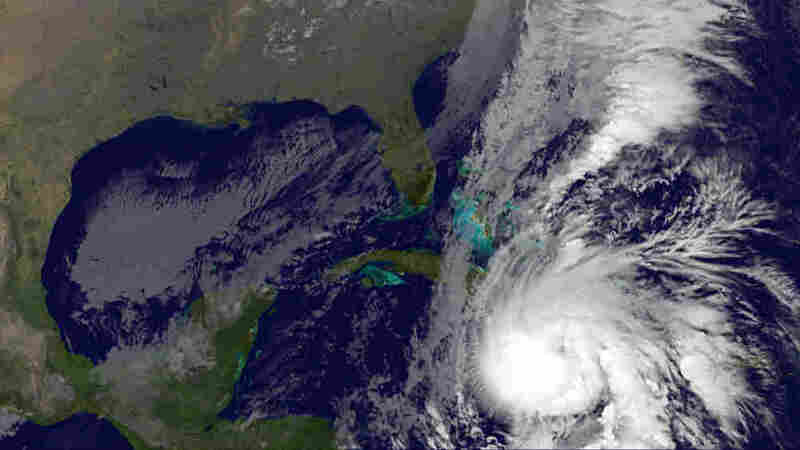 The National Hurricane Center says the center of Tomas will pass to the west of Haiti this morning. Another eruption released searing gas from Mt. Merapi in Indonesia. The 1400 degree gas rolled into a village 9 miles away from the crater, at the edge of the danger zone. Authorities say 58 people were killed. That brings the death toll from the volcano to over a hundred. The pyroclastic flows can come down the mountain at speeds of up to 60 miles an hour. The government has extended the danger zone to 12 miles from the mountain. An apparent suicide bomber struck Friday prayers at a mosque in the town of Darra Adam Khel in northwestern Pakistan. Police say at least 50 people have been killed. 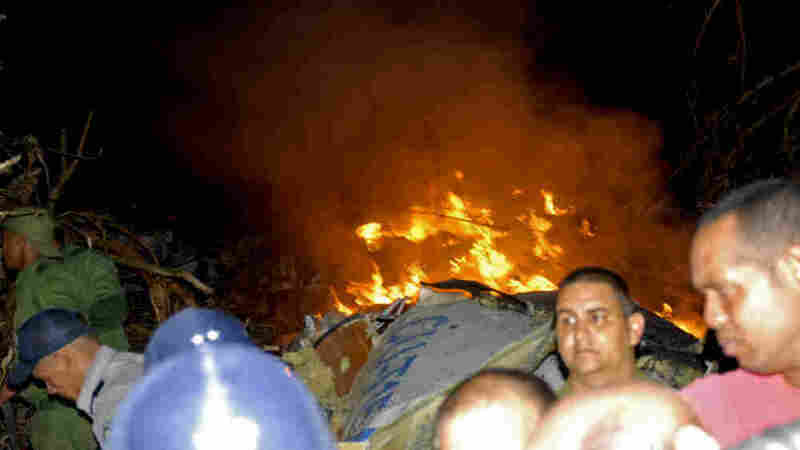 A plane carrying 68 people has crashed in Cuba. Officials have reached the wreckage and they say there were no survivors. The plane was carrying 40 Cubans and 28 foreigners. Aero Caribbean flight 883 was flying from Santiago De Cuba to Havana.